After fleeing a terror-filled marriage of twenty-three years, Deborah Lysholm, a professional dancer, summoned unbelievable courage and passion to start a new life for herself and daughter, Kristin. A cosmic slingshot propelled them into an unknown universe, traversing discriminatory court battles, including a first-ever domestic violence trial in civil court, and staking their place in the performing arts by building a celebrated performing arts center. Along their journey from darkness to light, they captured the attention of entertainment luminaries, and embarked on exhilarating world travels, discovering the women they were meant to be. Deborah and Kristin's inspiring odyssey is a hero's journey as they go from victim to victorious. 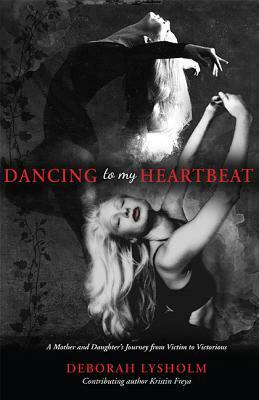 Dancing to My Heartbeat is a candid, insightful, and educational memoir that answers the question, "Why didn't you just leave?" It conveys the beauty ahead when you do.